Stella led the river ride today. Numbers topped 30! 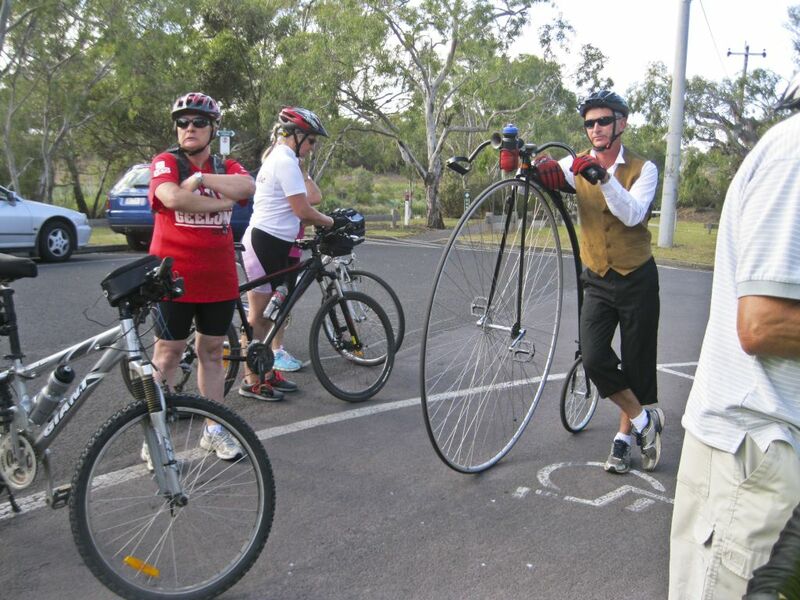 There were several new riders and visitors, including Peter on his high wheeler. Wisely, Stella decided to have two groups, two minutes apart. This worked well. Wisely, Stella decided to have two groups, riding two minutes apart. This worked well. Conditions were perfect which meant that half of Geelong was walking, jogging, riding, rowing, water-skiing … Landy Field was in full swing with Little Athletics. 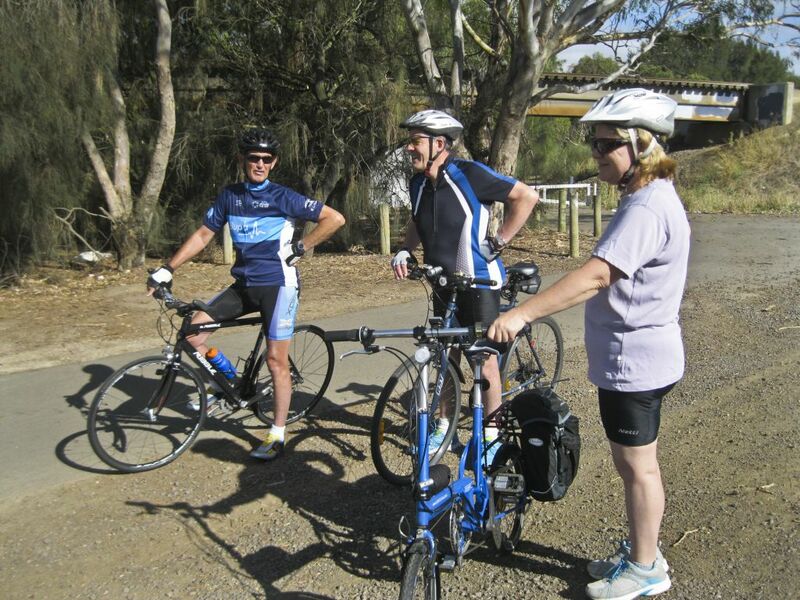 and Fyansford, the groups had refreshments, as usual was at The Barwon Edge. It was good to chat with old and new friends. Maree was back on the bike with her newly healed broken ankle, but we missed Karen who was hit by a car on her daily bike commute on Thursday and is off the bike for at least six weeks with a broken wrist. 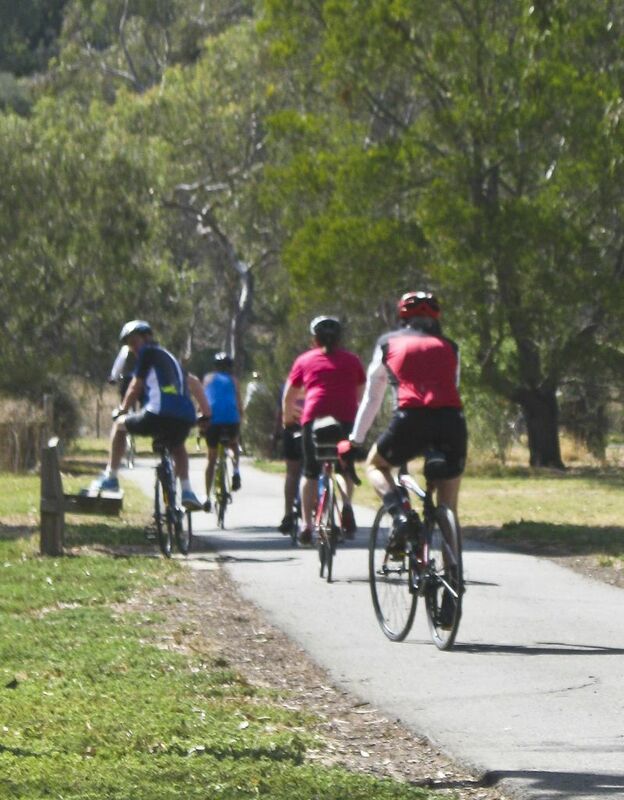 Advance notice that on Sunday 25th January Stella and Helen will lead a ride to Lara – two groups, a longer ride and a short ride. Keep watching the ride calendar for details.